Dearden, P. & Mitchell, B. (2016). Environmental change and challenge: A Canadian perspective (5th edition). Toronto: Oxford University Press. Dearden, P., Rollins, R., and Needham, M. (Eds.) (2016). Parks and protected areas in Canada: Planning and management (4th edition). Toronto: Oxford University Press. Needham, M, Dearden, P., Rollins, R., & McNamee, K. (2016). Parks and protected areas in Canada. In Dearden, P., Rollins, R. & Needham M. (Eds). Parks and Protected Areas in Canada: Planning and management. Fourth Edition (3-38). Toronto: Oxford University Press. Dearden, P. (2016). International perspectives. In Dearden, P., Rollins, R. & Needham M. (Eds). Parks and Protected Areas in Canada: Planning and management. Fourth Edition (39-66). Toronto: Oxford University Press. Theberge, J.C., Theberge, J.B., & Dearden, P. (2016). Protecting park ecosystems: the application of ecological concepts and active management. In Dearden, P., Rollins, R. & Needham M. (Eds). Parks and Protected Areas in Canada: Planning and management. Fourth Edition (70-103). Toronto: Oxford University Press. Dempsey, J., & Dearden, P. (2016). Stewardship: expanding ecosystem protection. In Dearden, P., Rollins, R. & Needham M. (Eds). Parks and Protected Areas in Canada: Planning and management. Fourth Edition (294-320). Toronto: Oxford University Press. Canessa, R., & Dearden, P. (2016). Marine protected areas. In Dearden, P., Rollins, R. & Needham M. (Eds). Parks and Protected Areas in Canada: Planning and management. Fourth Edition (321-354). Toronto: Oxford University Press. Dearden, P., & Bennett, N. (2016). The role of aboriginal peoples in protected areas. In Dearden, P., Rollins, R. & Needham M. (Eds). Parks and Protected Areas in Canada: Planning and management. Fourth Edition (357-390). Toronto: Oxford University Press. Rollins, R., Dearden, P., & Fennell, D. (2016). Tourism, ecotourism and protected areas. In Dearden, P., Rollins, R. & Needham M. (Eds). Parks and Protected Areas in Canada: Planning and management. Fourth Edition (391-425). Toronto: Oxford University Press. Rollins, R., Dearden, P., & Needham, M. (2016). Challenges for the future. In Dearden, P., Rollins, R. & Needham M. (Eds). Parks and Protected Areas in Canada: Planning and management. Fourth Edition (456-472). Toronto: Oxford University Press. Zacharias, M. (2014). 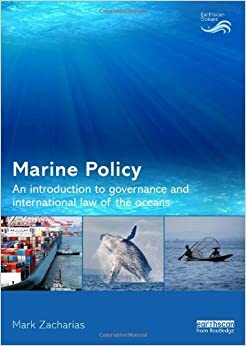 Marine policy: An introduction to governance and international law of the oceans. London: Taylor & Francis. Chan, K.M.A., Ban, N.C., & Naidoo, R. (2013). Integrating conservation planning with human communities, ecosystem services, and economics. In L. Craighead & C. Convis (Eds.) Conservation planning: shaping the future (21-50). Redlands, CA: Esri Press. Roff, J. & Zacharias, M. (2014). Marine Conservation Ecology. Washington, DC: Earthscan. Kapashesit, R., Lemelin, R. H., Bennett, N., & Williams, G. (2011). The Cree Ecolodge: A regional tourism catalyst. In A. Grenier & D.K. Müller (Eds. ), Polar tourism: A tool for regional development (155-178). Québec, QC: Presses de l’Université du Québec. Dearden, P. (2010). Parks and protected areas. In B. Mitchell (Ed. ), Resource and environmental management in Canada: Addressing conflict and uncertainty. 4th edition (328-355). Toronto: Oxford University Press. Dearden, P., & Manopawitr, P. (2010). Climate change – Coral reefs and dive tourism in Southeast Asia. In A. Jones & M. Philips (Eds. ), Keys to the Disappearing Destinations: Climate Change and the Future Challenges for Coastal Tourism (144-160). Wallingford: CABI. Roff, J.C., Zacharias, M.A., & Day, J. (2010). Marine Conservation Ecology. London: Earthscan Ltd.
Dearden, P., & Canessa, R. (2009). Marine Protected Areas. In P. Dearden and R. Rollins (Eds. ), Parks and Protected Areas in Canada – Planning and Management (403-431). Don Mills, ON: Oxford University Press. Dearden, P., & Mitchell, B. (2009). Environmental Change and Challenge: A Canadian perspective. 3rd edition. Toronto: Oxford University Press. Johnson, L.A., & Dearden, P. (2009). Fire, Seasonal Evergreen Forests, Conservation and Mainland Southeast Asia. In M.A. Cochrane (Ed. ), Tropical Fire Ecology: Climate Change, Land Use and Ecosystem Dynamics (289-306). Heidelberg, Germany: Springer-Praxis. Cameron, S., Klein, C., Canessa, R., & Geselbracht, L. (2008). Addressing socio-economic objectives. In J. Ardon, H. Possingham, & C. Klein (Eds. ), Marxan Good Practices Manual (47-53). Vancouver: Pacific Marine Analysis and Research Association. Canessa, R., Geselbracht, L., Klein, C., Cameron, S., & Wilson, K. (2008). Using Marxan in multi-stakeholder planning processes. In J. Ardon, H. Possingham, & C. Klein (Eds. ), Marxan Good Practices Manual (104-118). Vancouver: Pacific Marine Analysis and Research Association. Walker, I.J., & Sydneysmith, R. (2007). Chapter 8: British Columbia. In D.S. Lemmen, F. Warren, E. Bush, & J. Lacroix. (Eds. ), From impacts to adaptation: Canada in a changing climate (56). Ottawa: Government of Canada. Dearden P., Topelko K., & Ziegler, J. (2007). Shark watching: Historical context and growth management. In J. Higham & M. Luck (Eds. ), Marine Wildlife and Tourism Management (66-90). Oxford: CABI. Marven, C., Canessa, R., & Keller, C.P. (2007). Exploratory spatial data analysis to support maritime search and rescue planning. In J. Li, S. Zlatanova, & A. Fabbri (Eds. ), Geomatics Solutions for Disaster Management, Lecture Notes in Geoinformatics and Cartography (271-288). Berlin: Springer Verlag. Dearden, P. and B. Mitchell. (2005). Environmental change and challenge: a Canadian perspective, 2nd edition. Toronto: Oxford University Press. Dearden, P. 2004. “Parks and protected areas.” In B. Mitchell (Ed. ), Resource and environmental management in Canada: Addressing conflict and uncertainty, 3rd edition (314-341). Toronto: Oxford University Press. Vaugeois, N., Rollins, R., & Dearden, P. (2004). Rural development by tourism: A case study in Northern Thailand. In W. Pealo (Eds. ), International casebook for adventure and ecotourism (21-46). Nanaimo: Vancouver Island University Recreation and Tourism Research Institute. Landsdown, H., Dearden, P., & Neilson, W. (Eds.) (2003). Communities in SE Asia: Challenges and responses. Victoria, BC: University of Victoria, Centre for Asia Pacific Initiatives. Canessa, R., & Keller, C.P. (2003). User assessment of coastal spatial decision support systems. In D.R. Green & S.D. King (Eds. ), Coastal and Marine Geo-Information Systems (437-449). The Netherlands: Kluwer Academic Publishers. Bennett, M., Dearden, P., & Rollins, R. (2002). The sustainability of dive tourism in Phuket, Thailand. In H. Lansdowne, P. Dearden, & W.Neilson, Communities in SE Asia: Challenge and Responses (93-102). Victoria, BC: University of Victoria, Centre for Asia-Pacific Initiatives. Dearden, P. (2002). Dern Sai Klang: Walking the middle path to biodiversity conservation in Thailand. In: P. Dearden (Ed.) Environmental Protection and Rural Development in Thailand (377-400). Bangkok: White Lotus Press. Dearden, P. (2002). Environmental protection and rural development in Thailand: Challenges and opportunities. In P. Dearden (Ed.) Environmental Protection and Rural Development in Thailand (1-22). Bangkok: White Lotus Press. Dearden, P., Theberge M., & Bennett, M. (2002). Monitoring and marine park management at Koh Surin and Mu Koh Similan, Thailand. In S. Bondrup-Nielsen et al. (Eds. ), Managing protected areas in a changing world (1283-1293). Nova Scotia: Science and Management of Protected Areas Association, Arcadia University. Dearden, P., & Rollins, R. (Eds.) (2002). Parks and Protected Areas in Canada: Planning and Management, 2nd Edition. Toronto: Oxford University Press. Dearden, P. (Ed). (2002). Environmental protection and rural development in Thailand. Bangkok: White Lotus Press. Dearden, P. (2002). Marine parks. In P. Dearden & R. Rollins ibid. (354-378). Dearden, P., & Lien, J. (2002). Marine parks in Canada commissioned for State of Parks. Ottawa: Parks Canada. Peepre, J., & Dearden, P. (2002). The role of aboriginal peoples. In P. Dearden & R. Rollins ibid. (323-353). Slocombe, S. & Dearden, P. (2002). Protected areas and ecosystem-based management. In P. Dearden & R. Rollins ibid. (295-320). Rollins, R., & Connolly, S. (2002). Visitor perceptions of Clayoquot Sound: Implications from a recreation specialization model. In Jackson E.L. (Eds. ), Managing Protected Areas in a Changing World (1401-1411). Canadian Association for Leisure Studies. Dearden, P. (2001). Marine conservation in British Columbia. In C.B. Wood (Ed. ), British Columbia, its People and Resources (345-358). Vancouver, UBC Press. Dearden, P. (2000). Endangered species and terrestrial national parks. In R. Boardman & K. Beazley (Eds. ), Politics of the wild: Canada and endangered species (75-93). Toronto: Oxford. Dearden, P. (2000). Tourism, resource conflicts and parks. In S. Boyd & R. Butler (Eds. ), Tourism and National parks: Issues and implications (187-202). London: J. Wiley. Rollins, R. (2000). Tourism. In C. Wood (Ed. ), British Columbia, The Pacific Province: Geographical Essays, Western Geographic Series 36 (215-228). Victoria: University of Victoria, Western Geographic Press. Johannes, M.R.S, Hyatt, K.D., & Robinson, C.L.K. (1999). The history of resource use in the Kennedy watershed of Clayoquot Sound and the recent development of information and community perspectives to guide salmon stock rebuilding. In Confronting uncertainty: Managing change in water resources and the environment (134-143). Richmond, BC: Canadian Water Resource Association, British Columbia. Dearden, P., & Mitchell, B. (1998). Environmental change and challenge: A Canadian perspective. Toronto: Oxford University Press. Wipond, K., & Dearden, P. (1998). Obstacles to maintaining ecological integrity in Pacific Rim National Park Reserve. In N.W.P. Munro & J.H.M. Willison (Eds. ), Linking protected areas with working landscapes conserving biodiversity (901-910). Wolfville, NS: Science and Management of Protected Areas Association. Rollins, R. (1998). Managing for wilderness conditions on the West Coast Trail. In N.W.P. Munroe & J.H.M. Willison (Eds. ), Linking Protected Areas With Working Landscapes Conserving Biodiversity. Wolfville, Nova Scotia: S.A.M.P.A. Dearden, P. (1997). Protected Areas in Thailand: Thoughts on Future Directions. In S. Chettamart, D. Emphandu, & L. Puangchit (Eds. ), Tropical Forestry in the 21st Century: Volume 5, Parks and Protected Areas (8-22). Bangkok: Kasetsart University. Dearden, P. (1997). Carrying capacity and environmental aspects of ecotourism. In J. Bornemeier, M. Victor, & P. Durst (Eds. ), Ecotourism for Forest Conservation and Community Development (44-60). Bangkok: RECOFTC. Dearden, P., & Hvenegaard, G. (1997). Ecotourism and tourists at Doi Inthanon National Park, Thailand. In S. Chettamart, D. Emphandu, & L. Puangchit (Eds. ), Tropical Forestry in the 21st Century: Volume 5, Parks and Protected Areas (115-139). Bangkok: Kasetsart University. Dearden, P., & Doyle, S. (1997). External threats to Pacific Rim National Park Reserve, BC. In C. Stadel (Ed.) Themes and Issues of Canadian Geography II (121-136). Salzburger Geographische Arbeiten. Dearden, P., & McNicol, B. (1996). Wilderness tourism and Pacific Rim National Park Reserve: A comparative analysis of the German Market.” In R. Vogelsang (Ed. ), Canada in transition: Results of environmental and human geographical research (75-92). Bochum Universitätsverlag. Dearden, P. (1996). Biodiversity in the highlands of Northern Thailand: Some research approaches. In J. A. McNeely & S. Samchevita (Eds. ), Biodiversity in Asia: Challenges and opportunities for the scientific community (106-112). Bangkok: Office of Environmental Policy and Planning, Ministry of Science, Technology and Environment. Dearden, P. (1996). Development, the environment and social differentiation in Northern Thailand. In J. Rigg (Ed. ), Counting the Costs:Environmental Growth and Economic Change (111-130). Singapore: ISEAS. Dearden, P. (1996). Trekking in Northern Thailand: Impact distribution and evolution over time. In M. Parnwell (Ed. ), Uneven Development in Thailand (204-225). London: Avebury. Canessa, R., & Keller, C.P. (1996). Information taxonomy and data requirements for coastal GIS to support coastal planning and management. In M. Heit, H. Dennison Parker, & A. Shortreid (Eds. ), GIS Applications in Natural Resources 2 (102-109). Fort Collins, CO: GIS World. Dearden, P. (1995). Ecotourism, parks and biocultural diversity: The context in Northern Thailand. In S. Hiranburana, V. Stithyudhakarn, & P. Dhamabutra (Eds. ), Ecotourism: Concept, design and strategy (15-42). Bangkok: Institute of Ecotourism, Srinakharinwirot University. P.N. Nemtz, Howard, M.C., Dearden, P., Boothroyd, P., & Wiseman, B. (Eds.) (1995). Development versus the environment: The challenge for Southeast Asia. Centre for Southeast Asian Research, University of British Columbia. Dearden, P., Lonergan, S., & Ruitenbeek, J. (1994). An ecological economics study of the Chao Phraya River Basin, Thailand. Victoria: CSRD, University of Victoria, Victoria. Berg, L., & Dearden, P. (1994). Nuu-Chah-Nulth People, Aboriginal Rights, and Pacific Rim National Park Reserve, Canada, Proceedings, Volume One. In D. Moulke (Ed. ), Inaugural Joint Conference New Zealand Geographical Society and Institute of Australian Geographers, (37-49). Auckland, Palmerston North: New Zealand Geographical Society. Rollins, R., & Nichols, D. (1994). Leisure constraints, attitudes and behavior of people with activity restricting physical disabilities. In: I. Henry (Ed. ), Leisure: Modernity, Postmodernity and Lifestyles (277-290). Dearden, P. & Rollins, R. (1993). The times they are a-changin’. In P. Dearden & R. Rollins (Eds.) In Parks and Protected Areas in Canada: Planning and Management (1-16). Toronto: Oxford University Press. Dearden, P. & Rollins, R. (1993). Parks in Canada: Planning and management. Toronto: Oxford University Press. Rollins, R. & Dearden, P. (1993). Challenges For the Future. In P. Dearden & R. Rollins (Eds). 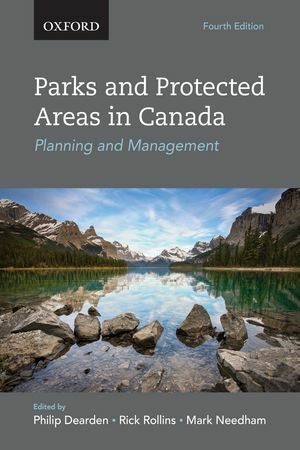 Parks and protected areas in Canada: Planning and management (291-298). Toronto: Oxford University Press. Rollins, R. (1993). Managing the National Parks. In P. Dearden & R. Rollins (Eds). Parks and protected areas in Canada: Planning and management (75-96). Toronto: Oxford University Press. Dearden, P. (1992). Cultural aspects of tourism and sustainable development: Tourism and the Hilltribes of Northern Thailand. In J.G. Nelson, R. Butler, & G.Wall (Eds. ), Tourism and sustainable development (165-178). Waterloo: Heritage Resources Center, University of Waterloo. Dearden, P. (1992). Tourism and development in Southeast Asia: Some challenges for the future. In A. Pongsapich, M.C. Howard, & J. Amyot (Eds. ), Regional development and change in Southeast Asia in the 1990’s (215-229). Bangkok: Social Research Institute, Chulalongkorn University. Dearden, P., & Harron, S. (1992). Tourism and the Hilltribes of Thailand. In B. Weiler and M. Hall (Eds. ), Special interest tourism (95-104). London: Belhaven Press. Duffus, D., & Dearden, P. (1992). Managing ocean wildlife: a case study of recreational use and management of killer whales (Orcinus orca) on Canada’s Pacific Coast. In J.L. Suarez de Vivero (Ed. 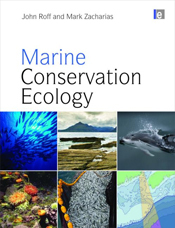 ), The ocean change: Management patterns and the environment proceedings of the commission on marine geography (189-196). Huelva, Spain: Seville University. Payne, R.J., Rollins, R., Tamm, S., & Nelson, C. (1992). Managing social impacts of parks and protected areas in Northern Canada. In: Willison, J.H.M. et al. (Eds. ), Science and the management of protected areas, (513-518). New York: Elsevier. Rollins, R., & Rouse, J. (1992). Segmenting backcountry visitors by setting preferences. In J.H.M. Willison, S. Bondrup-Nielson, H.T.B. Drysdale, & N.W.P. Munro (Eds. ), Science and the management of protected areas (485-498). New York: Elsevier. Rollins, R., & Dickoff, S. (1992). Ecotourism, community development, and national parks: Case studies from British Columbia. In Proceedings, World Ecotourism Conference, Belize. Rollins, R., Dyck, B., & Frechette, T. (1992). Visitor management in parks and protected areas: Applications of public surveys conducted in British Columbia. In J.H.M. Wilson, S. Bondrup-Nielson, H.T.B. Drysdale, & N.W.P. Munro (Eds. ), Science and the Management of Protected Areas (505-512). New York: Elsevier. Nichols, D., Rollins, R., & McNamara, P. (1991). Family centred care and leisure programming. In C. Denholm (Ed. ), International Research on Adolescents With Down Syndrome. Dearden, P. (1990). Pacific coast recreational patterns and activities in Canada. In P. Fabbri (Ed. ), Recreational Uses of Coastal Areas (111-123). Amsterdam: Kluwer Academic Publishers.